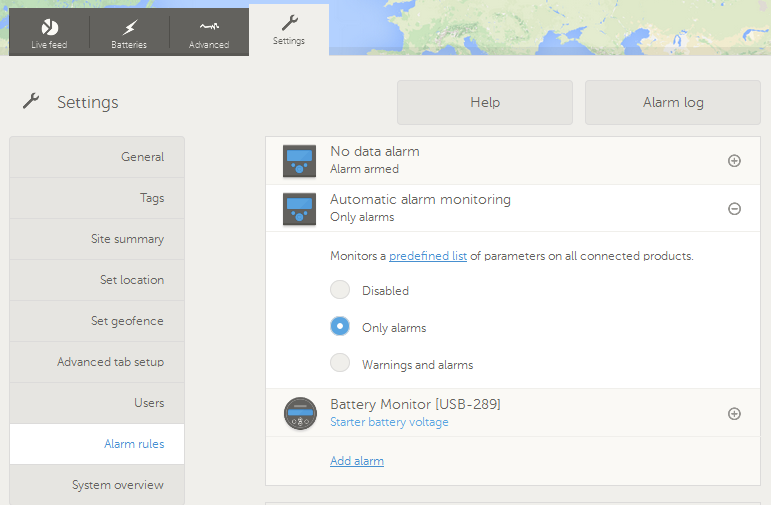 Automatic alarm monitoring is a new feature which monitors a predefined list of parameters on all connected products. Now, it is no longer necessary to manually configure alarm rules for all the differing parameters, so saving VRM users time. To read more on this subject click here or click ‘Help’ when in the Settings tab > Alarm rules, when logged into the VRM portal. A screenshot of that page is in the featured image at the beginning of this blog. Here is the full VRM Portal alarms and monitoring information page. 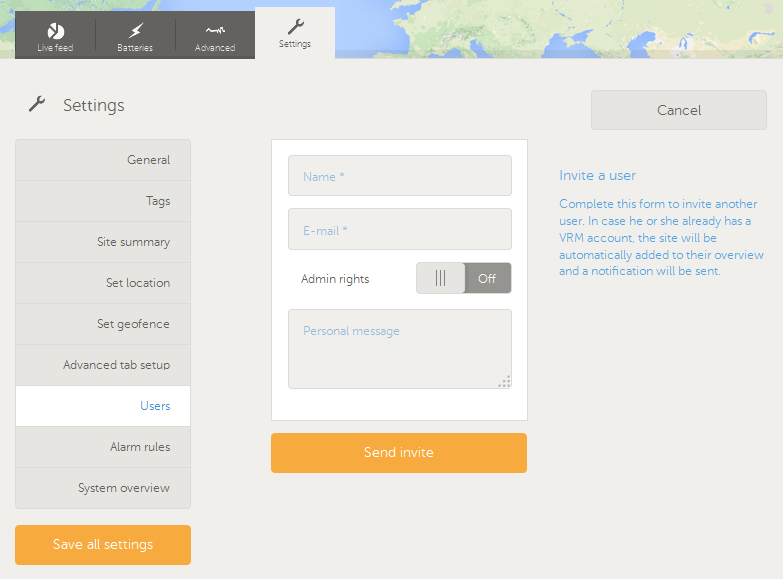 Did you know that it is very easy to add another person to a VRM site account, by using the ‘Invite user’ option? This is particularly useful for dealers. After setting everything up, you can create an account for the owner of the installation. In Settings > Users, click the blue ‘Invite user button’ and you will see the screen below. Simply fill in the details, giving admin rights and a personal message if you wish, and then click the orange ‘Send invite’ button. There are now even more VRM enhancements in place too, but I’ll leave them for another day. There is no point in information overload just before the weekend! As ever we hope you like the enhancements and welcome your comments below.